Spice Chefs Creations from the farmers market ingredients. One of a kind Creations by the spice chef using local farmers market ingredient. these products are made in limited quantities , go grab yours when it is fresh. 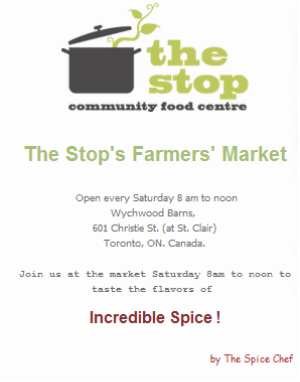 if you live in the St. Clair ave west neighborhood you can grab it at the farmers market every Saturday morning directly from the spice chef. or email us to deliver it to you fresh. Ontario honey infused with Ontario garlic, lemon and basil. Ontario honey infused with Spice chef,s Special blend of pumpkin spice. 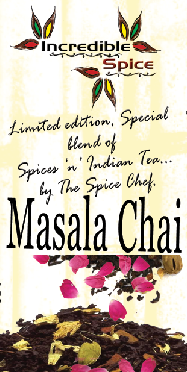 Add it to your breakfast, mix into you tea, dessert topping, and much more..
A limited edition Special Indian tea blend which is kept airtight for 4 months to infuse, with spice chefs special spices, in house dried ginger and rose petals. no liquid flavors added. just teal leaves and spices . this item will be a special order minimum of 50 Truffles, sold in a multiples of 50 pieces, made fresh after you place the order, Shipped in 2-3 business days. its hot , its Devilicious !